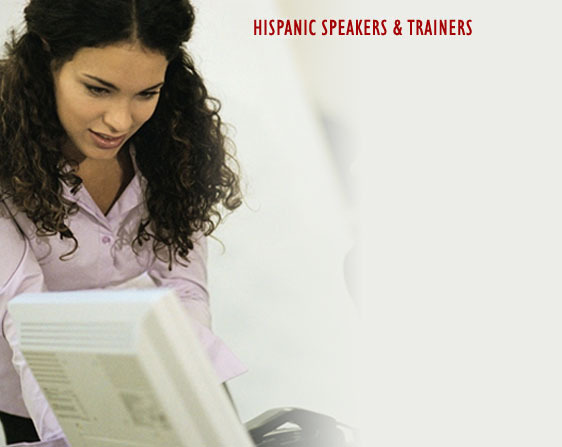 Whether you need a keynote speaker, master of ceremonies or trainer, JRG Communications’ Hispanic Speakers & Trainers Network is the leading resource for top-flight Hispanic speakers and trainers. Our nationwide network provides access and bookings with some of the country’s’ most dynamic, prominent and sought-after Hispanic speakers and trainers. JRG Communications’ network of proven professionals will satisfy all of your speaker and training needs. Our national network includes a diverse mix of top-flight male and female speakers, encompassing expertise in a wide range of industries, disciplines and backgrounds. Our Speakers Network is constantly growing and making way for fresh-faced newcomers of diverse backgrounds. We continuously seek out recognized and emerging Hispanic experts to keep up with the constantly changing political, economic and social environment. As the leading authority on exceptional Hispanic speakers and trainers, JRG Communications specializes in providing the professionals to meet your needs and fit your budget.